Our cleaners are very well trained, vetted and friendly. 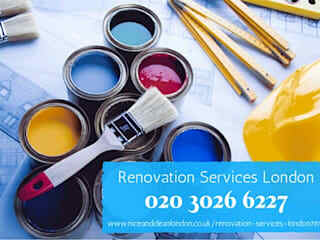 They will listen carefully to your requirements and will make your property fresh and tidy. The satisfaction of our customers is very important for us and we are ready to offer full range of cleaning services - domestic cleaning, carpet cleaning and upholstery cleaning, end of tenancy cleaning, office cleaning. We already provide painting and renovation services and we don't make compromises with the quality of our services so we use top notch paints and tools that guarantee you excellent final results. Call us and ask about you need to know about renovation you are planning and get professional answers and budget-friendly decision.